A section of the Towpath Trail in Summit Metro Parks will be closed until early June 2019. AKRON, Ohio — A one-mile section of the Towpath Trail in the Summit Metro Parks in Akron will close Tuesday and remain closed through early June. The closure runs from Manchester Road to Ohio 224, Summit Metro Parks spokeswoman Stephanie Walton told cleveland.com on Monday. There will be no detour. An Army Corps of Engineers invasive species project will construct a barrier in the area to prevent Asian carp from traveling into the waterways, Walton said. Cargill has utility lines running under the Towpath Trail and needs to move them in order for crews to complete the project. “We generally discourage people traveling off of the Towpath onto local roads, so there will not be a marked detour available,” Walton said. The section of the Towpath Trail will be open for the Towpath Century Ride on June 8, Walton said. Trail Alert: The Towpath Trail will be closed between Manchester Rd. and State Route 224 for utility work necessary for an Army Corps of Engineers invasive species project. The closure begins Tuesday, March 19 and continues through early June 2019. 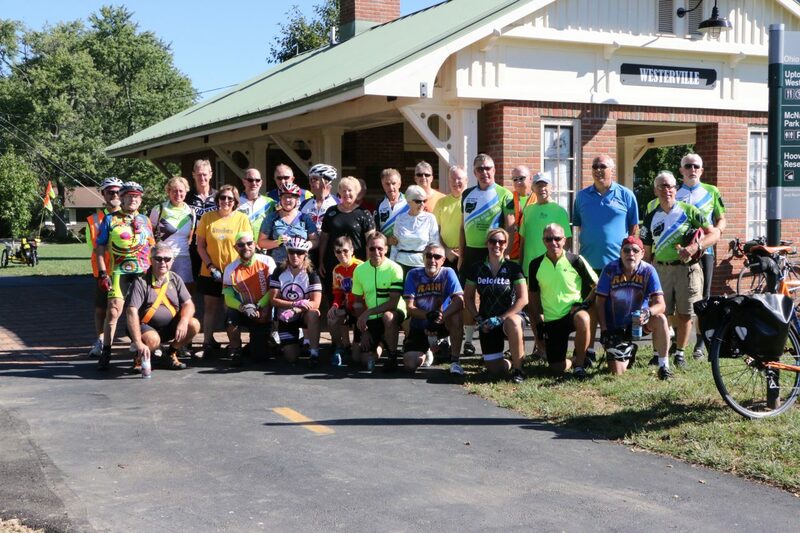 BRECKSVILLE, Ohio – The National Park Service will close a section of the Ohio & Erie Canal Towpath Trail in Cuyahoga Valley National Park Tuesday October 23, 7 a.m. – 4:30 p.m. The trail closure between Frazee House and Station Road Trailhead is necessary for public safety while workers repair a bridge that crosses the Sagamore waste weir. Please respect all park closures for the safety of visitors, resources, and park staff. CVNP encompasses 33,000 acres along the Cuyahoga River between Cleveland and Akron, Ohio. Managed by the National Park Service, CVNP combines cultural, historical, recreational, and natural activities in one setting. For more information, visit www.nps.gov/cuva, www.facebook.com/cuyahogavalleynationalpark, or call 330-657-2752. Trail Closure Notice – the Mohican Valley Multi-Use Trail from the Bridge of Dreams to the Holmes County Line will be closed or have periodic closures due to this portion of the trail being repaved and the parking lot renovation to provide handicap accessibility. The driveway to the Trail may also have periodic closures. Anyone traveling to the Mohican Valley Trail at 16606 Hunter Road Brinkhaven should be advised of this plan of work until further notice of completion. Cyclists should trail access at US 62 from the Holmes county trail and travel to Tiger Valley Road, Danville 43014 to get back onto the Mohican Valley Trail. Brecksville, Ohio – The Ohio & Erie Canal Towpath Trail in Cuyahoga Valley National Park will be closed to the general public starting at dusk Saturday, October 6 until 2 p.m. on Sunday, October 7. All of the parking lots along the Towpath Trail from Frazee House Trailhead to Botzum Trailhead including Indigo Lake Trailhead will be closed. Expect limited delays due to short road closures in the morning hours on Sunday, October 7. The closure is due to the 27th Annual Towpath Marathon, a specialty marathon, half marathon, and 10K race, sponsored by Canalway Partners, a Founding Organization of the Ohio & Erie Canalway National Heritage Area. The Cleveland area has a lot of progress going on and will continue to change until 2020. The information located on this map pertains to panel N1 just before you get to the Lakefront area. The information located on this map pertains to panel N2 in the Jennings Rd./Steelyard Commons area. Alum Creek Trail by Easton in NE Columbus has maintenance work, through access will stay open, slow down and proceed with caution. You may be delayed if there is active construction. Duration is through first week of September 2018. This web site no longer supports the OTET Maps sold prior to 2-2017. 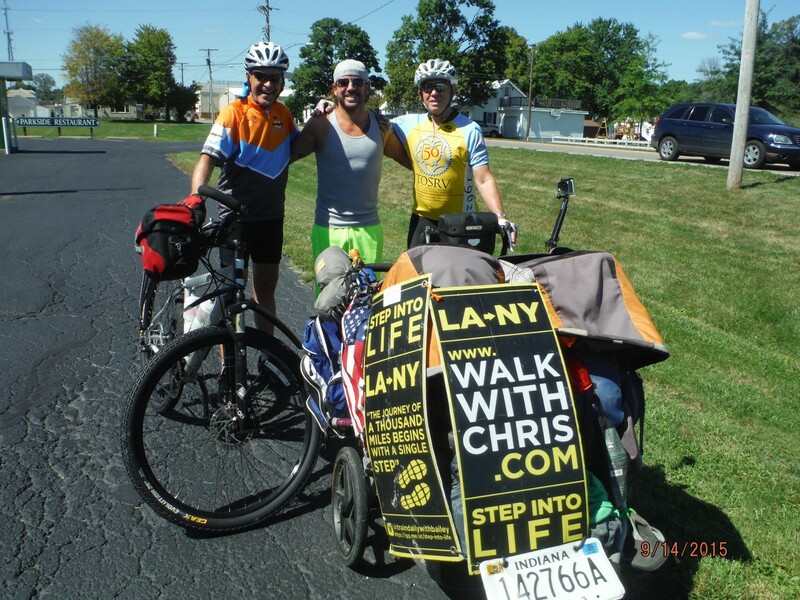 So many changes along the Ohio to Erie Trail route makes up-dates entirely too cumbersome. New Tour Guides are available in the web site store. North Region – Panel N3 – Akron – a section of the Ohio to Erie Trail known as the Ohio & Erie Canal Towpath Trail in Akron has a one-mile detour between the current Memorial Parkway and Mustill Store Trailheads. The detour uses Hickory Street to the west of the Trail until 2018 during construction. 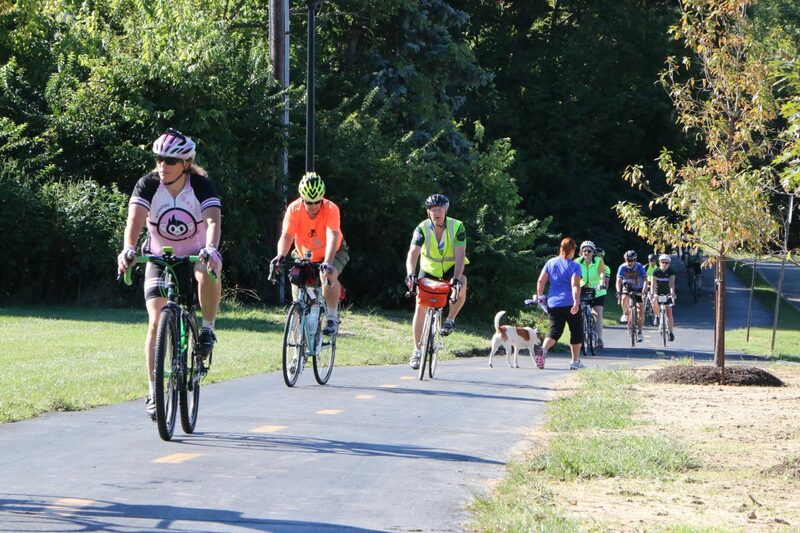 This detour of Towpath Trail and Ohio to Erie Trail does provide a safe, easily identifiable and mostly accessible trail for hikers and bicyclists. There are short sections that involve steep grades along the Maple Street Connector of the new route – 10% & 15% – where walking a bike may be preferred. It is signed. Also note that the area in Akron has no Route 1 signs. We are still working with the folks there to realize the OTET is STATE wide. North Central Region – Panel NC1 North of Mohican Valley Trail – This panel shows a new section of the Holmes County Trail from the Mohican Valley Trail to Glenmont that is now opened! Follow Route 1 signs to Killbuck on Route 520. North Central Region – Panels NC5 and NC6 – Westerville City – note that in the City of Westerville there are plenty of very nice white and green signs that say Ohio to Erie Trail and other OTET signs that are high on poles or on lower sign panels. There are NO route 1 signs for about 6 miles through this busy city but most of the trail is on the Westerville Bike and Hike Path. Watch carefully for the signs for OTET. They have an abundance of the US BR 50 signs and it does follow the OTET for much of the way but it goes east and OTET goes northeast. The OTET Tour Guides will take you through, so follow them! South Region – Panels S4, 5 & 6 -Cincinnati – this is a navigation clarifications and not route changes from the tour guide. Two areas need traveler attention. Going towards Cincinnati after turning on to Kellogg Avenue from Carrel, in one-half mile the trail goes left (south) around the back of the school on stilts and not straight on Kellogg Avenue. While the trail returns to Kellogg/Riverside Drive later, this beautiful one mile trail section winds along the Ohio River where there are ball fields and a boat ramp with very little car traffic compared to Kellogg. When the trail ends at Corbin, turn right for one block and you are back on Kellogg which now has become Riverside Drive to the city and it is well marked. Turn left at Riverside and Corbin toward downtown Cincinnati. North Central Region – Panel NC1 North of Mohican Valley Trail – This panel shows a new section of the Holmes County Trail from the Mohican Valley Trail to Glenmont . This should be paved and open by September 1, 2017. The Route 1 bicycle signs remain on the old route using County 25 and County 6 to take you to County 520 and into Killbuck. This is a very beautiful alternate route on the OTET and is marked with ALT stickers on the Route 1 signs. It is hilly in several spots but traffic is very light except for an occasional horse and buggy. North Central Region – Panels NC5 and NC6 – Westerville City – note that in the City of Westerville there are plenty of very nice signs that say Ohio to Erie Trail but they are on poles and lower sign panels. There are NO route 1 signs for about 6 miles through this busy city but most of the trail is on the Westerville Bike and Hike Path. Watch carefully for the signs for OTET. They have an abundance of the US BR 50 signs and it does follow the OTET for much of the way but it goes east and OTET goes northeast. The OTET Tour Guides will take you through, so follow them! South Region – Panels S4, 5 & 6 -Cincinnati – this is a navigation clarifications and not route changes from the tour guide. Two areas need traveler attention. Going towards Cincinnati after turning on to Kellogg Avenue from Carrel, in one-half mile the trail goes left (south) around the back of the school on stilts and not straight on Kellogg Avenue. While the trail returns to Kellogg/Riverside Drive later, this beautiful one mile trail section winds along the Ohio River where there are ball fields and a boat ramp with very little car traffic compared to Kellogg. When the trail ends at Corbin, turn right for one block and you are back on Kellogg which now has become Riverside Drive to the city and it is well marked. Turn left at Riverside and Corbin toward downtown Cincinnati. In 2.5 miles where you turn left (towards the Ohio River) is at Bain and Riverside at the red light. Use the red light to cross and enter the OTET at Berry International Friendship Park. ( It is possible to stay on Riverside and catch the trail at other places, but the easiest is to take this first sign of a trail on your left.) Go beyond the wooden art work to the path closest to the Ohio River and turn right. The first trail next to the train tracks will get you to the same location but the path closest to the river is much more scenic! South Central Region (S to N directions) – Panel SC3 : where the CCT/OTET ends at W. Sullivant Ave. turn left and go 1 block west to Industrial Mile Rd. Follow it north and east to the intersection with Georgesville Rd. Use the pedestrian signal and crosswalk to cross to the east side of Georgesville Rd and go south (right) on the paved side path toward the RRx where the Camp Chase Trail resumes eastward into Columbus connecting to Columbus Wilson Park and the bridge over Broad Street (which is National Road U.S. 40). This is on the Tour Guide. These web sites can be of assistance to you in the local areas they cover.